Here's a birthday she'll never forget. Photo: AJ Hackett Bungy. Adrenaline junkie and city girl Shari Bayer celebrated her birthday in high-octane style in Queenstown, New Zealand, jumping off a bridge, out of a plane, and into a helicopter. 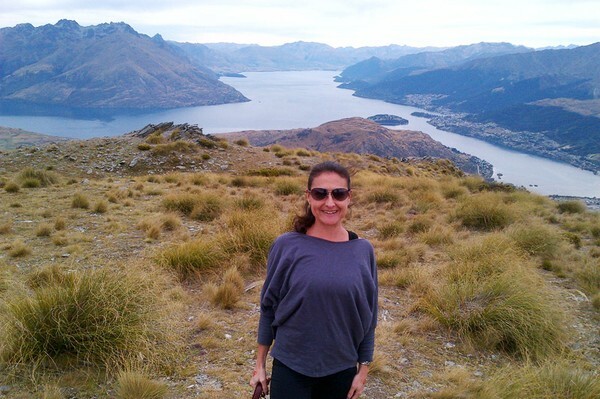 QUEENSTOWN, New Zealand – I had a feeling that I was going to fall in love with Queenstown. It just sounded like my kind of place: beautiful and fun. From the moment I landed in its scenic airport, it was confirmed. I love Queenstown. The town itself reminded me a bit of Aspen for its quaint size and charm. Cute shops and cafes line the pedestrian-friendly streets set between glorious mountains and the most tranquil lake. It's simply breathtaking. But forget the beauty: Queenstown is really about adventure. From bungee jumping to giant swings to speeding jet boats and high-flying zip lines, this place is heaven for adrenaline junkies. To say nothing for a New York City girl with an adventurous side. I was not leaving Queenstown without getting my share of fun. 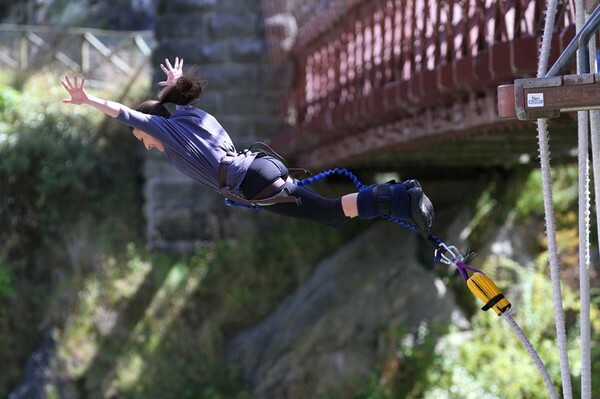 I registered online for the with AJ Hackett Bungy New Zealand a few days prior to the jump. Yes, I was nervous and could barely sleep the night before. The day of my late-morning jump, I went to the Station Building in town and waited for the company van. My stop, Kawarau Bridge, was 20 minutes away. Others were going on to , the highest bungee with an 8.5-second drop, but I wasn't ready for that. The ride was silent. Everyone was nervous. Kawarau was as stunning as I had imagined. The river glistened below. I checked in, put my bag in a locker, and walked to the bridge. I had reviewed online feedback and videos before my trip, so there was no waiting around for me to see how others did it. I was ready. To the bridge. One guy harnessed me up; another secured the rope around my legs. I stood up and hobbled to the edge as instructed. I was told to wave to the camera here and then there, and then "1, 2, 3, JUMP!" I put out my arms and went for it. It was amazing! The high I felt throughout the day (my birthday!) was out of this world. I was grateful to AJ Hackett for being so professional, organized, and cool. And giving me no reason to worry. 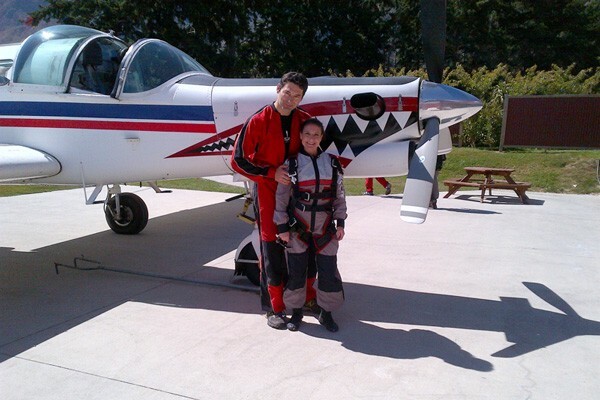 As if jumping off a bridge wasn't enough, the next day I decided to jump out of a plane. Skydiving! Something I always wanted to try. was the company of choice, and they were as proficient as the AJ Hackett team. 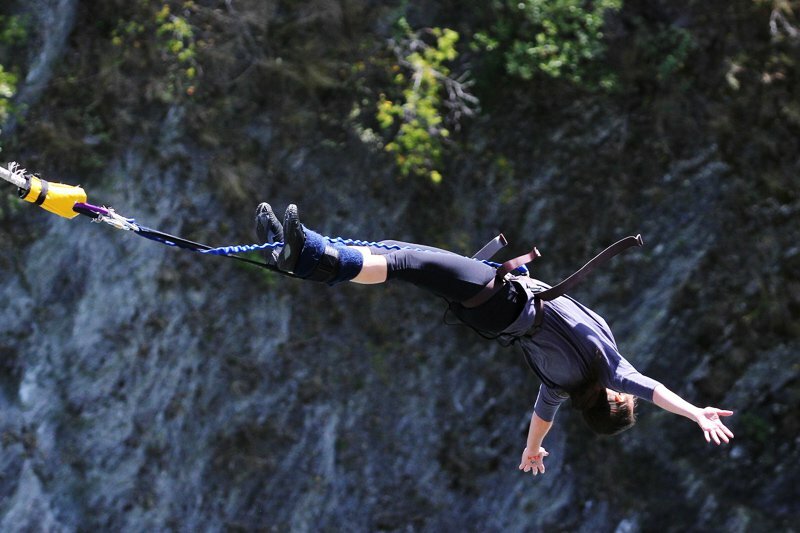 The dive is tandem, which made the experience a cakewalk, fear-wise, compared to the bungee. My hotel concierge made the appointment. 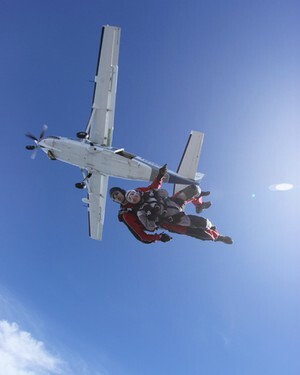 I chose to do the dive from 12,000 feet (the middle height option) and in the morning (an empty stomach seemed wise). I arrived at the NZone headquarters in town and signed my life away on the seriously scary indemnity form. Our group watched a video showing what to expect, and I was asked if wanted a video and/or photos. (Of course!) Another van to the site; another 20-minute ride. My tandem partner was Sasa, who also happened to be the cute head instructor. (Lucky me.) There were four first-time jumpers on my tiny plane. It was quiet on board: It felt like we were on a mission. Before we jumped, Sasa fastened himself to me, and said in my ear, "Relax, have fun, you're securely attached to me and I will take care of you." So sweet. Sasa and I were closest to the door, which mean we'd be the first out, along with the photographer. This was the craziest part: Coordinating the timing of the jump so we would freefall together. Of course it worked. These guys are pros. And that was it. We jumped. We landed. It was surreal. I did lose a disposable lens due to wind getting in my goggles, but otherwise there were no issues. It was easy and exhilarating. So peaceful to fly down in the parachute to land. Definitely the closest I will ever get to being a bird. 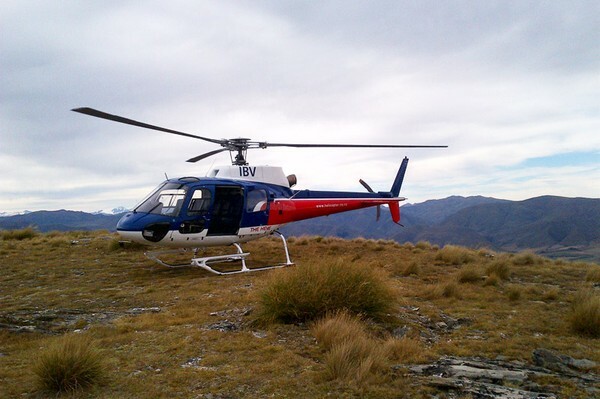 The last somewhat adventurous thing I did in Queenstown was a 20-minute scenic helicopter ride to the magnificent mountain range The Remarkables with , which offers an array of rides with different price ranges and lengths. Since I was a single passenger, they needed to arrange a flight that I could join with others. I was picked up in town and brought me to the site ten minutes away. Our helicopter was ready to go. I hopped on board, put on my headset, and away we went. We landed on top of The Remarkables for photo ops, took in the view, and returned to the base. It may not sound like much, but it was a thrill. It was my first helicopter ride, and it was awesome. Again, the company that was totally on-point. Had I had more time, I would have done the or gone to Milford Sound. Next time. The author at The Remarkables. 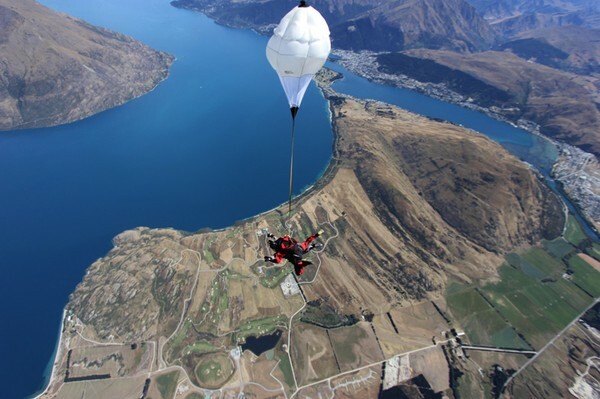 In fact, I have many more to try in Queenstown: swings, , zipline , , . Maybe I'll also try less daring but scenic activities, like a gondola ride to . It's a beautiful town, but it's a more beautiful adventure.